Day sixteen. Vancouver to Kelowna, back on the road again! 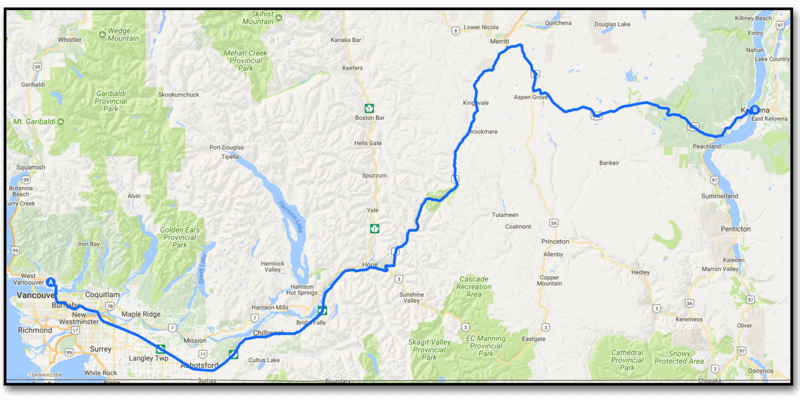 After a nice, party-filled time in Vancouver, I am on the road again to meet up with Jon and continue our journey south-westward towards our cycling start at Redding , California. After an overnight stop at Allison & Bryce’s we will continue on to tomorrow’s stop at Curlew Lake State park in Washington.